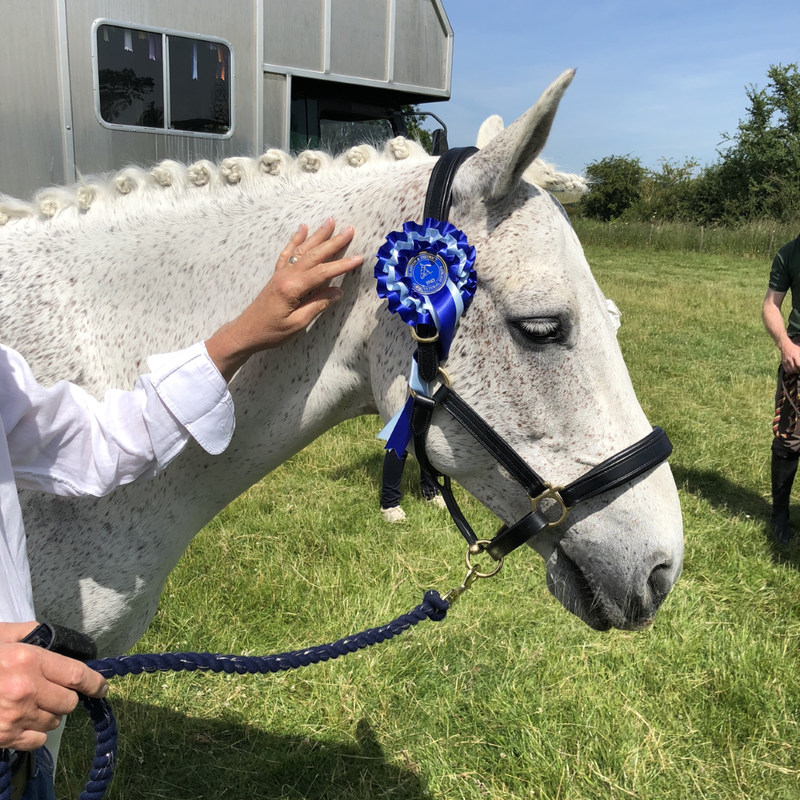 Do you ever get plait envy...? When I see a horse with a silky, frizz free mane that has been evenly plaited and smartly rolled into perfect bunches, I certainly do. 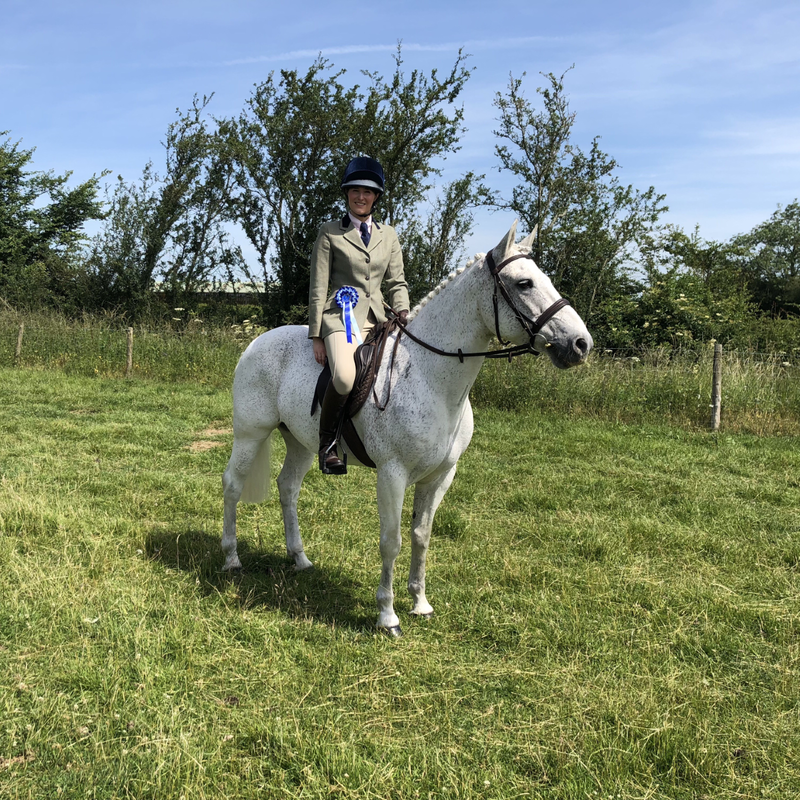 Oscar is a Connemara Pony, his mane is true to his breed, thick and unruly. Tidy, consistent plaits are no easy task and to get the perfect finish I find they have to be sewn in, because of the extra time this takes I often section and plait down the night prior to an event. Securing everything in place with a lycra hood, fit for a superhero and hope for the best. Three seconds to secure a plait...impossible?! Well, it turns out it is possible with Quick Knot and I had to try them. They come in packs of 11, 250 or 500 pieces and cost £24.95 > 99.95 in black, brown, grey and white. I was kindly sent grey for Oscar and they are silver in colour. The process is to section the mane and plait down, securing with a band as per usual. The plait is the rolled up and secured by a Quick Knot clip, pushed through the back of the plait then bent over to secure the end. It takes seconds and they appear immaculate and just like a well sewn in plait the Quick Knot is invisible once in mane. I recently used them in a Showing class, an Equifest Qualifier. Having once been scolded by a judge, many years ago for forgetting to remove my stud earrings. I was a little nervous they might notice the Quick Knot clips and make a remark...but nothing and we were placed 2nd in our class. Giving me a huge confidence boost to use them again. 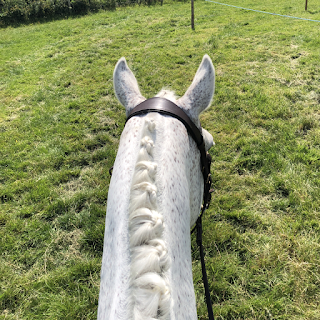 The pictures were taken after our two classes, in sizzling hot temperatures and you can see how secure, neat and tidy they look, even in a less than ideal mane for plaiting. 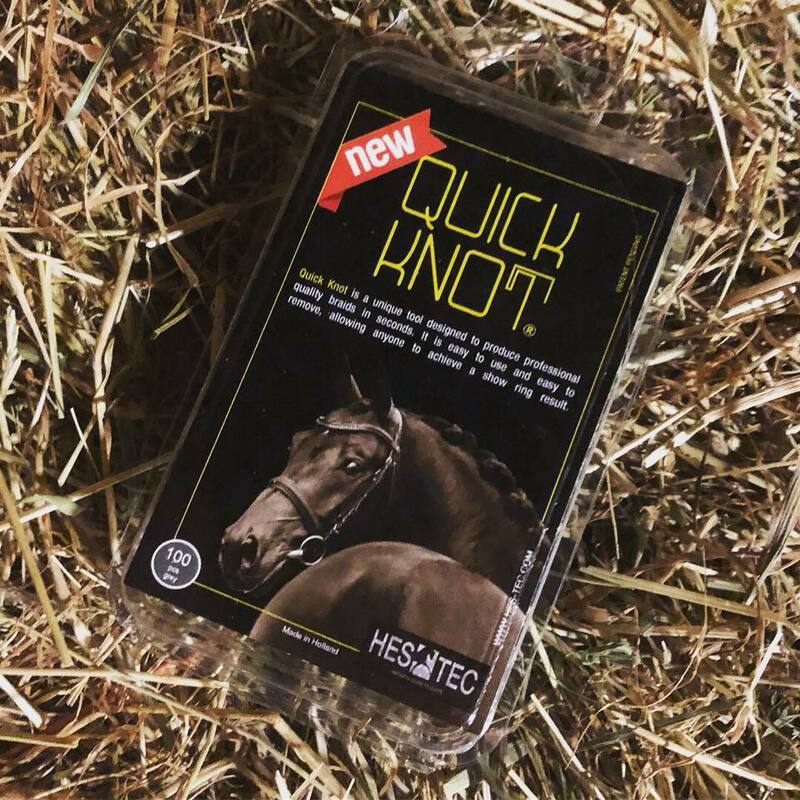 Purchase from Quick Knot UK here.